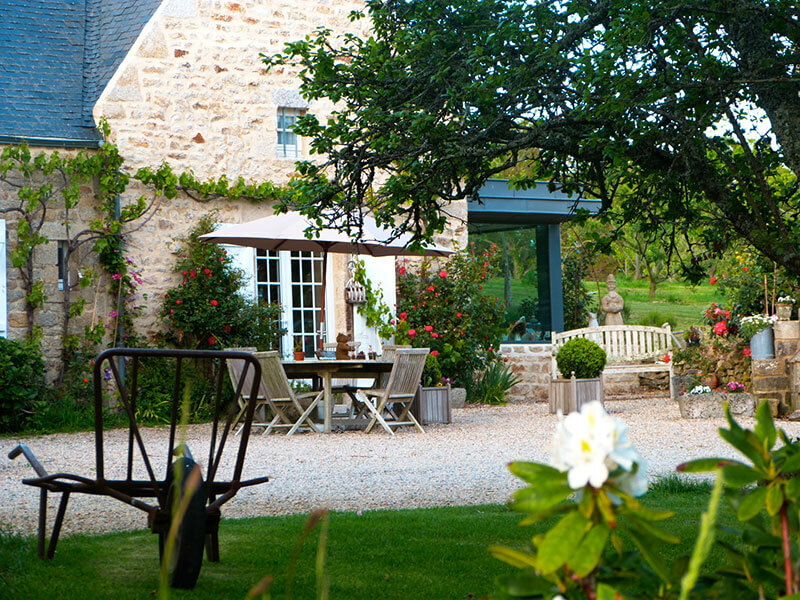 Kerscuntec Farm is your charming guest house in Southern Brittany between Quimper and Bénodet, right next to the magnificent beaches of the Atlantic coast, containing five guest rooms which are perfect for lovers of calm, authenticity and nature; serving them now for nearly ten years. Perfect for romantic breaks and often chosen by couples, these visitors think themselves in paradise. This is a must-see address in Brittany and appears in all the prestigious tour guides, who are certainly not mistaken when they select it as an essential place to stay. Kerscuntec Farm has also been the subject of reports in interior design magazines, where it has been haled for the elegant and refined décor of its bedrooms. Built in the seventeenth century, this beautiful, light-filled building in Combrit Sainte Marine was originally a cider works. In the heart of a protected nature site, Kerscuntec Farm is just steps away from a large and beautiful white sands beach, and from several footpaths. 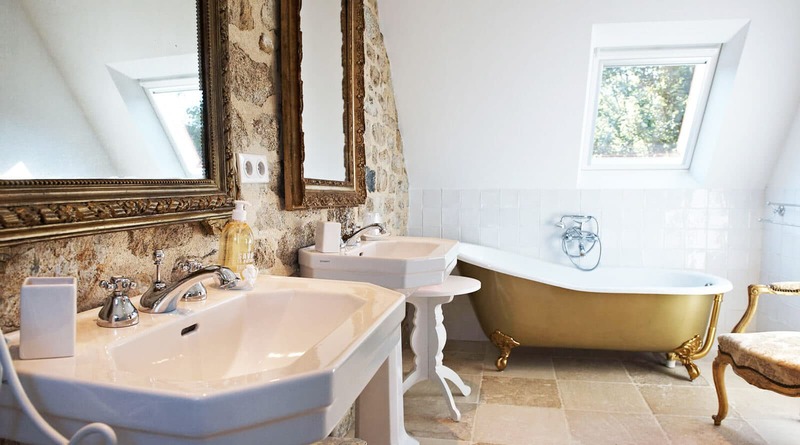 Anne and Bruno, Bretons and highly passionate about their region, are the happy owners of this charming guest house. Anne, keen on cooking and decorating, has designed and decorated all five rooms herself, centred around the aim of the well-being, rest and relaxation of her guests. Helped by Bruno, a passionate historian who loves relating accounts of the history of the Bigouden country to guests on the evening they arrive, you will be warmly welcomed for a stay where you will feel fully at home. As well as the bedrooms, the owners place at the disposition of their guests a private living room with its own library, and a garden adorned with deckchairs, hammocks and garden furniture. A stay at Kerscuntec Farm means the opportunity to relax, to recharge your batteries in the middle of nature, perhaps for a birthday, or to mark your retirement, for a celebration or simply for fun. Meticulous in listening to the needs of their guests, Anne and Bruno will know how to personalise your stay and make sure it’s the perfect one for you. This is a holiday destination which offers calm, charm and authenticity all at once. Look no further, Kerscuntec Farm is the place to hold on to for your next holidays!